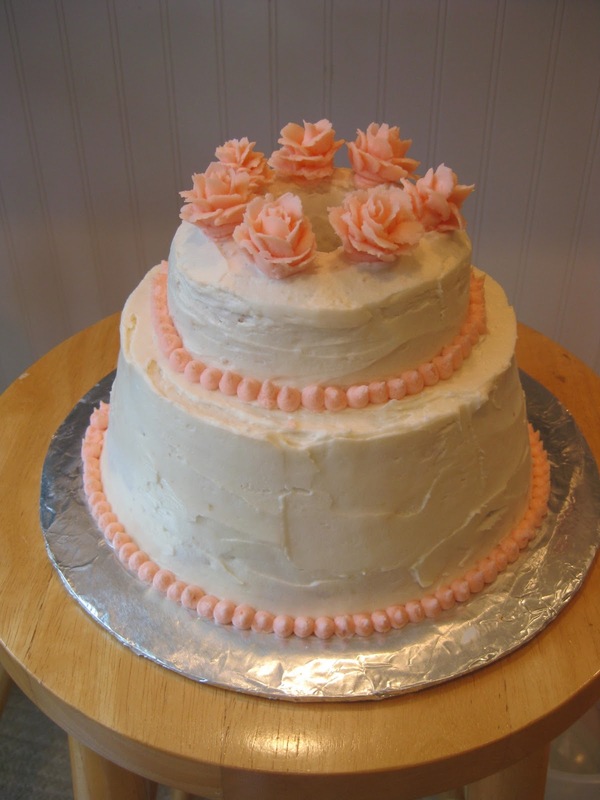 Kelly's Konfections: My Very First Wedding Cake! My Very First Wedding Cake! Congratulations to Zully & Freddy! There were some bumps in the road, but the cakes came out nicely. I made two of the tiered cakes, plus 2 dozen vanilla cupcakes. 1. In bowl of standing mixer, whip egg whites until stiff peaks form. Set aside. 2. In a large bowl, cream butter and sugar. 3. Add egg yolks, one at a time. Beat well after each addition. 4. Sift flour three times into a medium sized bowl. Mix baking soda into sour cream. 5. Alternate adding flour and sour cream mixture to the butter & sugar. 6. Add almond extract and vanilla. Fold egg whites into batter. 7. Pour batter into a greased and floured bundt pan. Bake at 300 degrees for 1 1/2 hours. 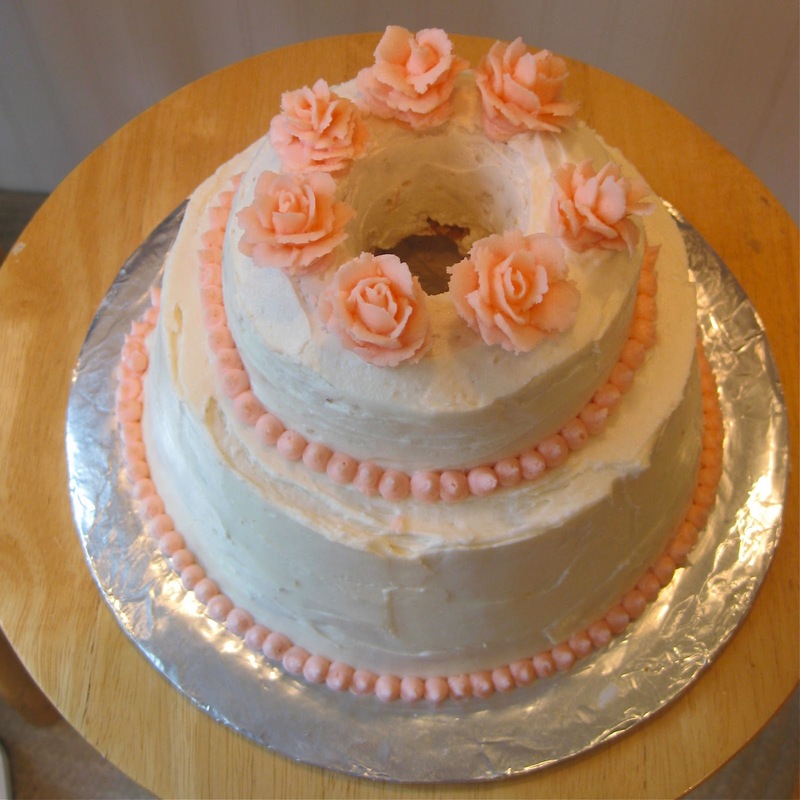 I used Classic Vanilla Buttercream, substituted almond for vanilla extract.